Scott Amey knows the benefits of hard work--and his willingness to work hard shines through in the service that he generously extends to others, as well as in his own business ventures. Even before finishing his education in 1975 with a master's degree from GW in computer science, Mr. Amey began his career in information technology and engineering services contracting for federal, state, and commercial customers. In 1993, Mr. Amey co-founded RS Information Systems, and by the time of his retirement as executive vice president and chief operating officer in 2004, he had helped build the company to its ranking as the 40th largest IT and engineering services provider to the U.S. Government. He is currently the president and chief executive officer of Amyx, Inc., a company he acquired in 2008. 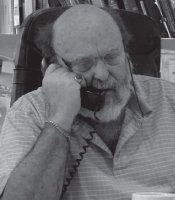 From 2004 to 2007, Mr. Amey volunteered his time and services to GW's School of Engineering and Applied Science, spending three days a week to build the school's Career Services Office. During the same period, he helped establish and fund the Division of Neuro-Oncology and Childhood Cancer Research at Georgetown University Hospital's Pediatric Oncology Clinic. Richard Davis was known for his energy, and he dedicated it fully to both his career and his passion for the outdoors. 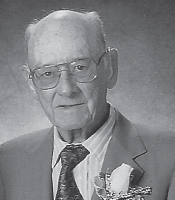 A decorated veteran of World War II, Mr. Davis returned to the U.S. following the war and attended GW on the GI Bill, earning a bachelor of science degree in civil engineering in 1950. In 1957, he joined Greenhorn, O'Mara, Dewberry & Nealon, the firm co-founded by fellow GW Engineering Hall of Fame inductee Sidney Dewberry. Beginning as chief engineer, Mr. Davis was elevated by 1968 from senior associate to full partner of Dewberry, Nealon & Davis. In 1975, the firm became Dewberry & Davis. 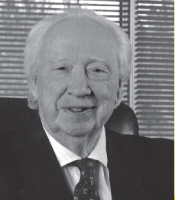 Mr. Davis played a key role in several of the firm's major construction projects, including the original Dulles Toll Road and the Dulles Greenway, for which he was the chief engineer. He also supervised the $17 million redesign and rebuilding of Wolf Trap's Filene Center when it burned down in 1982. He continued to help build the company until his retirement in 1987, when he turned his attention to his passions for deep sea marlin fishing, trout fishing, hunting, wood working, and travel. He enjoyed all of these interests until his passing in 2008. After serving in World War II, Sidney Dewberry attended GW on the GI Bill, and graduated in 1951 with a bachelor of science degree in civil engineering. Five years later, he and his business partner Jim Nealon co-founded the firm that ultimately grew into Dewberry LLC. Along the way, he was joined by GW Hall of Fame inductee Richard Davis, who became a full partner in the firm in 1975. As co-founder and chairman of Dewberry LLC, Mr. Dewberry takes great pride in working in a business whose labors make a very visible and tangible impact on the world. The firm has provided architectural and engineering services, planning, program management and surveying services, land planning, environmental compliance, and security and homeland defense services to government agencies and departments, universities, real estate developers, and other commercial and institutional groups. The company maintains 40 offices with approximately 2,000 employees throughout the United States. Major projects for which Sidney Dewberry has served as partner in charge include Pentagon City; Montgomery Village; Tysons II, Fair Oaks and Lake Forest Malls; and the Dulles Toll Road. One of the world's leading aerospace engineers, Michael Griffin personifies the joy of learning put into the service of technological advancement. Dr. Griffin has a lifelong love of learning that extends beyond his seven degrees, one of which is a master of science in civil engineering that he earned from GW in 1998. 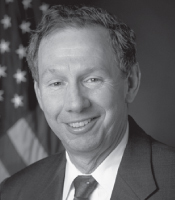 He is most well known as the 11th Administrator of NASA (serving from 2005-2009), but he has also served in other high-profile positions, including the head of the Space Department at the Applied Physics Laboratory (APL) at Johns Hopkins University, and currently as eminent scholar and professor of mechanical and aerospace engineering at the University of Alabama. Previously, he served in many executive positions with aerospace-related companies and held several academic appointments, including that of adjunct professor at GW. In 2008, he was named to the TIME 100, the magazine's list of the 100 most influential people. David Karlgaard's career as a technology entrepreneur exemplifies the success that can come from combining knowledge of engineering principles with business acumen. Dr. Karlgaard received his D.Sc. in electrical engineering and computer science from GW, and his MBA from the University of Pennsylvania's Wharton School, and he translated this knowledge into business success. 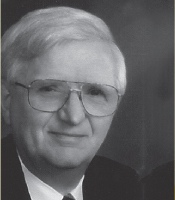 After working as an electrical engineer at various U.S. government research laboratories and later as vice president of Computer Sciences Corporation, Dr. Karlgaard and two partners co-founded PEC Solutions, a government information technology services company, in 1985. 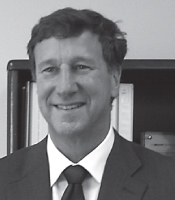 He served as chairman of the board and chief executive officer of PEC until it was sold to Nortel in 2005. Under Dr. Karlgaard's leadership, PEC Solutions was recognized by Forbes Magazine as 15th in its "America's Best 200 Small Companies" issue (2001); by The Washington Post as 74th among the "Top 200 Companies" in the Washington, DC area; and by Business Week as 8th among the nation's "Best Small Companies" (2002). Karlgaard himself received KPMG International's Greater Washington High-Tech Entrepreneur Award in 2001, and in 2002 Ernst and Young recognized him and his partners with the Entrepreneur of the Year award in the government services category. Allyn Kilsheimer's legendary work ethic goes back at least as far as college, when he worked in engineering firms to pay his way through school. He graduated in 1963 with a bachelor's degree in civil engineering, and by 1972 had founded his own engineering firm, KCE Structural Engineers, which he continues to lead today as its chief executive officer. Over the years, the firm has provided structural design consultation to government agencies, private sector owners, contractors, and major corporations in 21 states and numerous countries throughout the world. The project for which Mr. Kilsheimer's firm is most well known is the Phoenix Project, which rebuilt the Pentagon significantly under budget and ahead of schedule following the September 11th terrorist attack. Other high-profile projects include responses to the 1985 earthquake in Mexico City, the 1993 World Trade Center bombing, and the 1995 Oklahoma City federal building bombing.